- Do not know when was last time clutch cover screws were opened. - Could be unopened since decades/or two. - There are marks of attempts to open, since the screws look like almost on the verge of stripped. - Will electric impact wrench have enough power to open screws? or only high powered air impact wrench is needed. - I do not have any experience with impact wrenches, so not sure about its potential and applicability in my situation. - Is there any other method that I should be trying? I've never used an electric/pneumatic impact on these screws. I used a hand impact driver. Pick the correct size bit, and hit the back of the driver with a hammer. Easy-peasy. Buggered up screws is pretty common. The screws on vintage Japanese bikes are JIS, which looks similar but is different to phillips. A phillips screwdriver works adequately for JIS screws that aren’t in very tight, but it will bugger up tight JIS screws like those on your engine covers. You should get JIS screwdrivers so that you don’t have this problem in the future. I use Vessel screwdrivers, which is a Japanese brand of pro quality JIS screwdrivers. But there are cheaper alternatives. 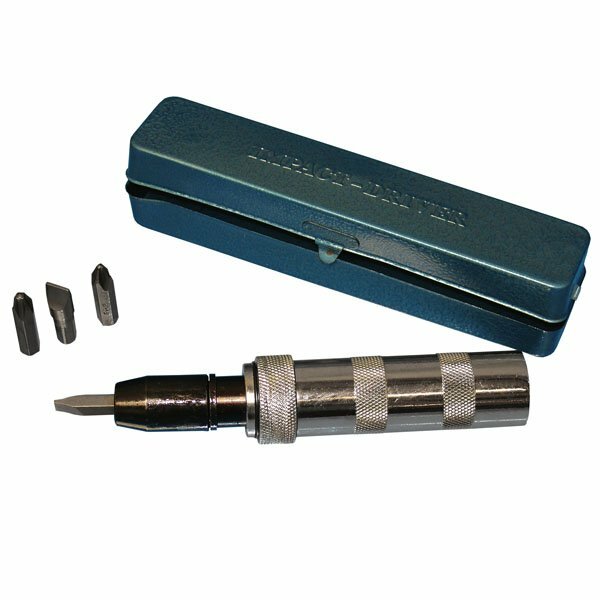 If your case screws are not too badly buggered up, you may be able to get them out with a Vessel Impacta screwdriver. You hit the end of the screwdriver with a hammer, which forces it into the screw while turning it slightly. You can use a drill to remove the heads of really badly buggered up screws. Once the cover is off, you can use pliers to remove what is left of the screw. Plated mild steel screws are the same as original. If you decide to upgrade to stainless steel screws, then make sure to use anti-seize. The little dimple in the head of the new screws identifies them as JIS. Some people prefer to upgrade to stainless allen screws. Kits are available, just make sure to use anti-seize. I've pulled apart a lot of motors over 40 years, and can't remember not being able to get a screw out with a hand held impact driver and a club hammer. if your unsure still ,you can always try these. You won't need stud extractors, either use the impact driver others have mentioned above or drill the screw head off then remove the stud that is left with mole grips when the case is off. One last comment.. you can make a passable JIS bit by filing the tip off a Phillips (PH) bit flat so that it sits better in the screw head..
someone on FaceBook had use this and found them ok.
i replace all my cover screws with stainless allen bolts, they are far better and easy to get out - but as has been said before - make sure you put a smear of copper grease on each one WITHOUT FAIL. A great idea, but if you haven't used them before, it is worth noting that they should only be tightened using a screwdriver, NOT a ratchet, t-bar or long side of an allen key. The casing threads are easily stripped if the wrong tool is used.